UPDATE: The dates for the Russian River Rally are August 19-21, 2011. The prior week was erroneously shown on this post previously. Let’s Go to the Rally; Don’t Call Me Sally! As a member your are invited to join ACTC’s annual RRR. Advance reservation and payment is required. ACTC’s treasurer has reserved sites which may include spaces 109,109B and 110. RV reservations are not included. For directions, click Campground Map or www.casiniranch.com. Please park away from the campsites, perpendicular to the campsite road, pick a space for your sleep gear, and set up away from the RRR outdoor kitchen, fire rings and dining tables which are centrally located near a hose bib and a large tree. Hot coin- free showers and restrooms are a short walk from either end of our area. Picking your site within our area will be first camper- first serve, but please be considerate to minimize your footprint, pick up after yourself, and observe quiet time after 10pm and before 7 am! Greet your fellow members (no nametags) and non ACTC neighbors and be courteous about mitigating annoyances, offering and asking for help. The Casini Family Ranch kiosk staff will have a list of all those registered for RRR and will issue a prepaid and conditional parking pass for members who drive in. Cars not displaying a pass on their dash are subject to tow. Casini staff, with approval by the Chair, may turn away or allow unregistered members entry, provided that they pay fees to both Casini and ACTC upon arrival, space permitting. Day members may enter without paying ACTC but must be registered with ACTC, and on the list at the Casini kiosk. To be clear, all RRR members must be registered to participate, campers, Key Volunteers (KVs) and non-campers alike. Hours d’ Oeuvres: Camping for RRR opens on Friday at ~12 noon with some KVs available to host and prep the campsite for our group (please help them). Traffic, impromptu issues, and shopping sometimes affects RRR opening time. Anyone planning on arriving before this time may do so at their own time and expense separately from, but in conjunction with, RRR. (Casini, Monte Rio Inn, Bohemian Club, Armstrong Redwoods SP, Duncans Mills Camp, and other area hosts may provide non-RRR lodging options). RRR closes and vacates Casini no later than 12 PM PST on Sunday. Please write a comment on your registration if you are arranging lodging separately from RRR. A KV will inspect your area in the morning on Sunday, settle the Casini bill, and refill the propane tanks across from the Casini store, so please be prepared and organized for leaving RRR clean and neat. Food Glorious Food! Your registration provides 4 RRR meals plus any surplus treats. Enjoy Friday’s outdoor group dinner, along with club supplies, cooking gear and foods for two breakfasts and two carryout lunchs on Saturday and Sunday. These meals, along with some hot and cold beverages, are served and supported by all members and KVs. Our dining venue is our club’s outdoor kitchen which may include propane cooktops, Webers, Steele’s Chuck Wagon & contents, coolers, ice, provisions, utensils, dishware, and firewood, set up within our Casini group site with its’ picnic tables, fire rings, shade trees, and hose bibs. Saturday dinner is a potluck with all members contributing a dish to share with four or more.Safeway in Guerneville is a handy source for RRR supplies and for shopping for potluck contributions. There is no electricity or indoor plumbing at the RRR campsites. Saturday morning breakfast will be served hot by our volunteers, starting as early as the sun rises. Members often pick blackberries earlier and bring them to share at breakfast, which may include hot pancakes, eggs, potatoes, sausage, cocoa, juices, seasonal fruits, teas, and decaf. Whenever possible, fresh scratch cooking will be emphasized with vegetarian items prepared separately and prior to meat containing items. Oil is Olive. There will be deli-style items if you wish to wrap a lunch to carry on your ride. Saturday night we have a potluck BBQ in camp. Please bring meat to grill for yourself, and a nice dish to share with four or more for the Saturday potluck and fireside happy hour. Instructions on RRR protocol including kitchen use and organization, charcoal and firewood support will be provided by KVs. When in doubt, clean up, wash your hands, put on gloves when serving, and clean and put things back after every use. Ask a KV or someone with more RRR experience whenever you need help. Sunday morning, everyone helps assemble and cook breakfast, cleanup, pack and ride or rideshare home. Early bird cyclists will be up before sunrise for breakfast and cycle back home. Many people ride into Occidental or Duncans Mills before packing up to go home. The campsites need to be cleared by everyone, with the KVs checking for lost and round items, before noon. We ask that all campers be prepared to lend a hand with the housekeeping and cooking as needed. RRR is a cooperative member-only event afforded in part by our club, where everyone pitches in! Many members ride or rideshare to RRR, and bring a cooler for their own beverages, appetizers, and any other snacks and drinks for the weekend, since there is no refrigeration or electricity available at our campsites. ACTC coolers are packed with RRR beverages and foods, and thus any items stored within them will be appreciated as a contribution! Cell phone coverage is limited in the campground, or none at all. There may be free WiFi in some areas of the campground, but not where ACTC is camping. Pets are allowed, but please be respectful of their natural behaviors and how this may affect other members and guests, and please bring all supplies and a leash to make your non human companions cooperative, clean, and comfortable. Lost and found items may be returned to a KV for safekeeping, also check with the Casini staff upon departure. Leave expensive items at home! Ride Sally Ride! The Russian River area offers a mixed bag of terrain and tourist activities like bucolic vineyards and the charm of Fort Ross coastal towns. The area to the south generally has rolling coast ranges. Higher ridges are shaded with redwoods while the lower ones are grasslands. To the north, redwoods dominate and the hills are steeper. To the east, a large valley stretches from Healdsburg to Santa Rosa. There you will find rolling hills, apple orchards, and vineyards. You can do your own ride, or join others for a ride, or choose to not ride at all. Please sign up for rides at the rally and check your ride stats afterwards for any corrections. This link is to a file of all the routes created by Don Axtel: RRR-routes . Please print out which routes you might be interested in and bring to the rally. To see the individual routes click here. For a list of the current ACTC billy goats in the area, click here. Some club members will be listing rides to and from the Russian River Rally. Please refer to the ACTC ride schedule and contact them directly if you are interested in joining. Also go to www.ACTC.org to view past photos under the Smug Mug “Camping” section. Weather Whether Warm, Hot, Cold or Whatever! The Pacific Ocean dominates the climate of the Russian River area, and it is easy to pick the weather you want by moving up and down the river. Generally, the coast is foggy and cool in the mornings and late afternoon. Healdsburg, a major inland city, is usually fog free and 20 degrees warmer. If you want to sunbathe at 10AM, you need to head inland towards Healdsburg. If you’d like to swim at 4 PM, it may be a little too cool at Duncans Mills, but 5 miles to the east, in Guerneville, you can still get a sunburn. The coast also affects the winds. In the morning, the winds come in from the coast. By l0AM they’ve usually died down. By 2PM they have started up again. Plan your riding around the wind. Winds are the strongest in the afternoon where the sun is still strong with no fog. They’re less powerful after the fog has rolled in. So, if you’re pooped, stop and shop in a little town and wait for the wisps of fog, and then start riding. You’ll encounter less wind. Rally: Birth, Growth and Now: Howard and Bev Saling founded the rally in 1978. The first site was at a campground near the Korbel Winery. The following year it moved to Monte Rio. The year after that, it moved to Duncans Mills. The campground eventually became private, and the rally was moved to Casini Ranch until 1998 when it moved to the Faerie Ring Campground, and returned to Casini Ranch in 1999, its current home. In 1985, the first ACTC tour book was produced. Nowadays we put the information on the website. Casini Ranch is also a used for lodging by our club’s stupendous Sierra to the Sea Tour (STTS). 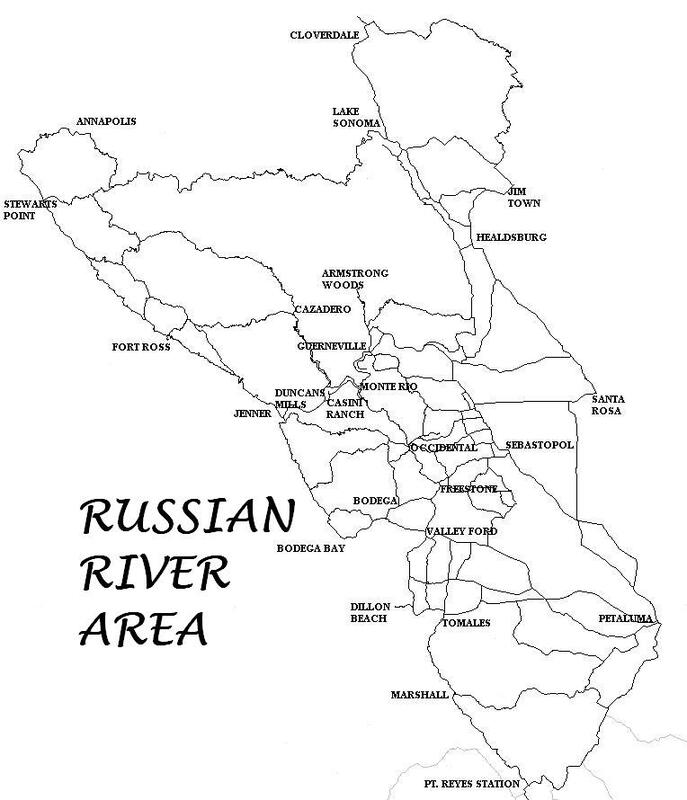 From Russia with Love: The river and nearby Fort Ross were named after the Russians, who settled the area in 1812 as fur hunters. They employed Native Americans, established a thriving community, and traded goods with China, where sea otter fur was highly prized as a garment accessory and status symbol. The otters suffered near extinction when the hunters withdrew in 1841. During the next 60 years the river and terrain kept the area isolated. Fort Ross Road, formerly a stage coach road , includes steep ACTC billygoat(s). It connects Healdsburg to the east with Fort Ross to the west, which is now a spectacular State Park with docent tours, overlooking the Pacific Ocean, at cliff’s edge. Fort Ross Road was routinely washed out by 120″ rains during the winter, and the Russian River can suddenly flood, although flows are now regulated by a dam system. At the turn of the century, the redwoods brought railroads. The railroads in turn brought tourists. 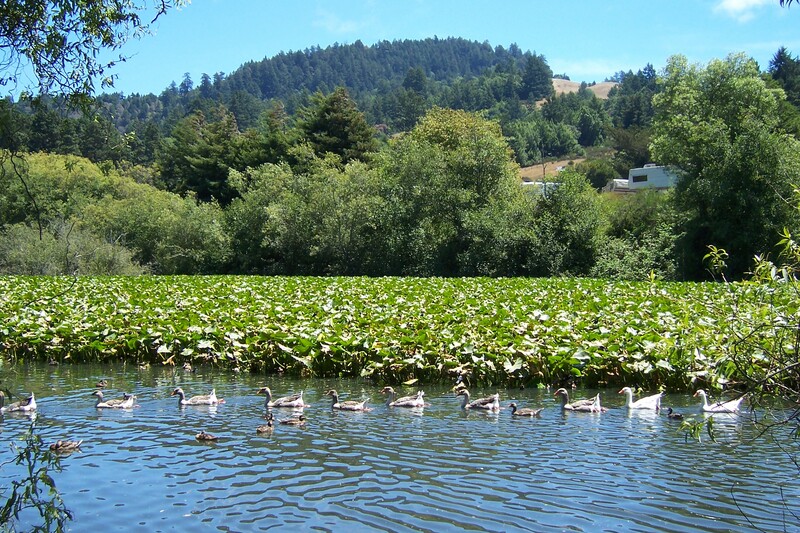 By the mid 1920′s, San Francisco’s resort of choice was the Russian River area. After the depression, wealthier San Franciscans went to Tahoe, and by the mid 1970s, the Russian River was in a deep depression. Most resorts were dilapidated until the 1980′s when the gay community of San Francisco came and revitalized the Russian River area, centering the town of Guerneville as their hub (just south of and adjacent to the billygoats of Armstrong Redwoods State Park). Cyclists and tourists may now enjoy vacationing here, within a community that takes pride in its’ tolerance, environmentalism, wineries, recreation, natural beauty, and social diversity. Russian River Rally EZ Registration: Opens July 1st at 5:00 PM PST until filled, with a standby list, prepaid, with no refunds after August 1st. Day members not camping at RRR are free of charge but must still register and help! All members help prep, cook, serve and cleanup for at least 30 minutes per day and as needed. All registrants must have current membership and contact information. Upon acceptance, you will be confirmed by email with shift assignment(s). Key Volunteers are designated by the Chair and are eligible for reimbursement for qualified expenses. Ride sign up is during RRR, the ride director is the Chair, and you may contact www.actc.org “Russian River Area” or the Chair via board@actc.org. Report all stats directly to the statistician. Have a Safe and Sweet Russian River Rally! Please register online, please click here.